​ Wednesday & Thursday beginning Tuesday, June 5th! 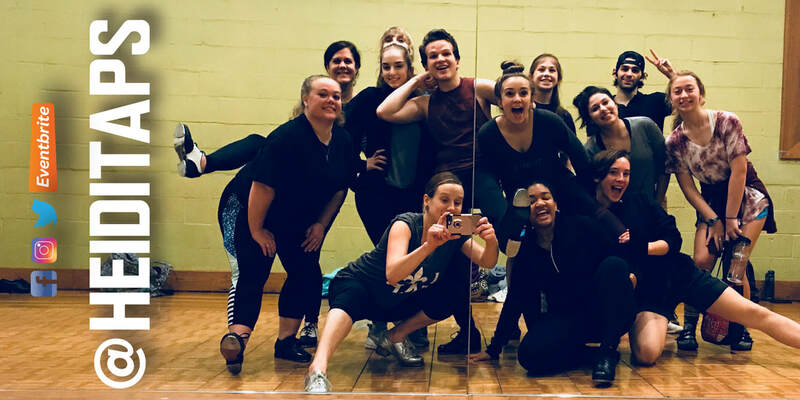 Beginner Adult Tap is deal for the absolute beginner, tap veteran, or anyone looking to begin or continue their training and journey into the art of tap dancing in fun and relaxed environment! The class emphasizes core tap fundamentals, proper technique, and learning tap vocabulary. No prior experience is required. If you have never taken a tap dance class, or have had less than 6 months of classes, this is the class for you. This is a high- energy class, and an engaging workout for the mind and body! 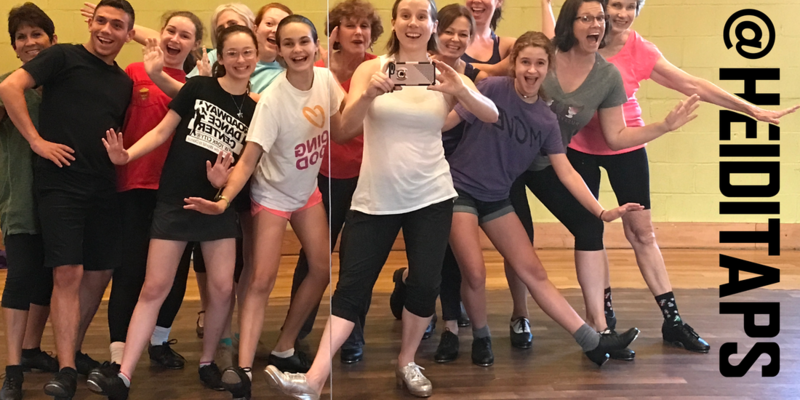 Click below to register and to learn more about Beginner Tap! 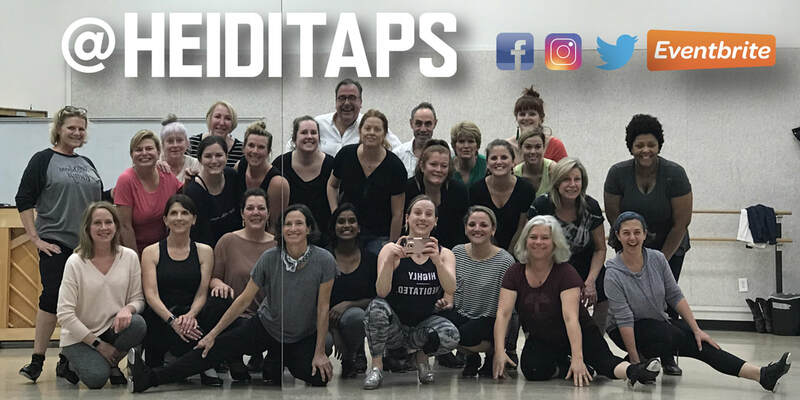 Click below to register and to learn more about Beginner Adult Tap. We offer private lessons for our students who are currently enrolled in group classes, and studying the art of tap dancing. Private lessons are offered at the half hour or hour-long rate, and can take place in a variety of spaces around the city. Lessons are dependent upon instructor and space availability. 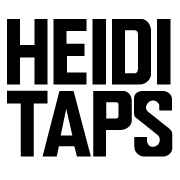 For more information about private tap lessons and rates, please contact us! 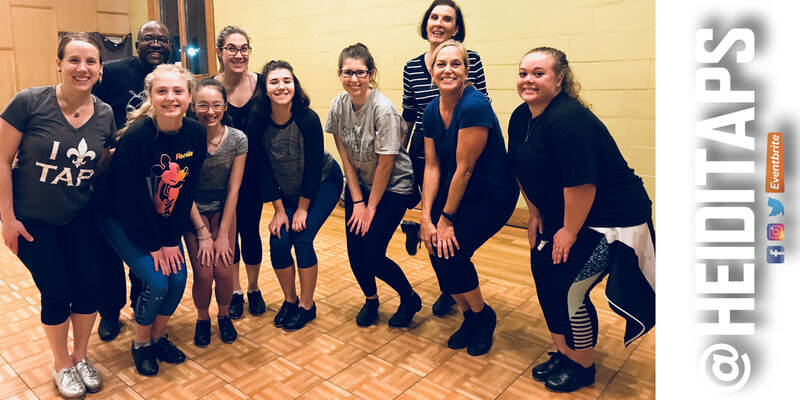 Level II: Advanced Beginner Tap invites tap dancers to expand their vocabulary, hone rhythmic skills and develop a stronger foundation of tap technique. New and more complex rudiments, music fundamentals, time steps, and riff and paddle and roll patterns are explored. This class moves at a moderate pace, allowing more time for repetition and review of technical and rhythmic concepts as we develop combinations and choreography. Choreography will include both original and classic tap combinations. With a focus on anatomical efficiency in an effort to maximize balance and technical clarity, particular attention is devoted to proper alignment, initiation, and execution as the dancer develops solid timing, technique and precision. Classes offered Monday evenings beginning June 4th! Level IV Advanced Tap is a fast-moving tap class designed for students with a strong foundation ready to challenge themselves far beyond the basics. Each class will include a thorough warm-up, intricate rudiments and rhythmic exercises that stress syncopation and precisely timed weight shifts. The class will incorporate various rhythm tap techniques and approaches geared to maximize efficiency and clarity. Much time is spent on rhythmic variations, complex patterns and intricate combinations and choreography. ur toes and give you a vigorous workout for the body, mind, ears and feet! Classes offered Monday evenings beginning Monday, June 4th! Level III Intermediate Tap moves at a steady, productive pace, and continues to build on learned skills while adding more complex rhythmic and technical exercises. Rhythm turns, cross over steps, more complex riff and paddle and roll patterns, and simple flash steps such as pullbacks, pickups and grab-offs are included. Level III Intermediate Tap will also learn original and classic choreography at a quicker pace, and explore improvisation as well. Less time will be spent on breaking down the technical concepts behind exercises and choreography, as the student should already have mastered those basic skills upon entering the class. Look forward to a challenging rhythmic workout for the mind and body that will result in confidence, clarity, and creativity! Open your ears & free your feet! ​In this workshop series we will learn how to use the vocabulary we know to serve our individual expression. We will work on freeing ourselves from performing “steps" by opening our ears and exploring our relationship to music, our fellow dancers, and our environment. Through this practice, the student will be able to approach an improv jam with confidence and excitement, leaving the fear behind! This class is open to ALL levels! Heidi Malnar is an Emmy and four-time Big Easy Award winning dancer and choreographer from Chicago. She is the Founder and Artistic Director of Gulf Coast Theatre on Tap. Currently teaching at New Orleans Center for Creative Arts, she received her Bachelor of Arts in Dance from Columbia College Chicago. She most recently choreographed "Triassic Parq" with See 'Em Onstage Productions, "Ain't Misbehavin'" and "Pictures of Marilyn" at The National WWII Museum’s BB’s Stage Door Canteen as well as Le Petit’s productions of “Pippin,” for which she was also nominated for a Big Easy Award for Choreography. Heidi has also choreographed local productions of “42nd Street,” and “Spamalot” at Rivertown Theaters. In Chicago she performed with Jump Rhythm Jazz Project, directed by Billy Siegenfeld, and Chicago Tap Theatre, directed by Mark Yonally. Before moving to New Orleans Heidi enjoyed her faculty position at Carthage College. She has enjoyed teaching positions at Tulane University, New Orleans Ballet Association, and Encore Studios in New Orleans.